Do you struggle with sleep? Do you experience insomnia? 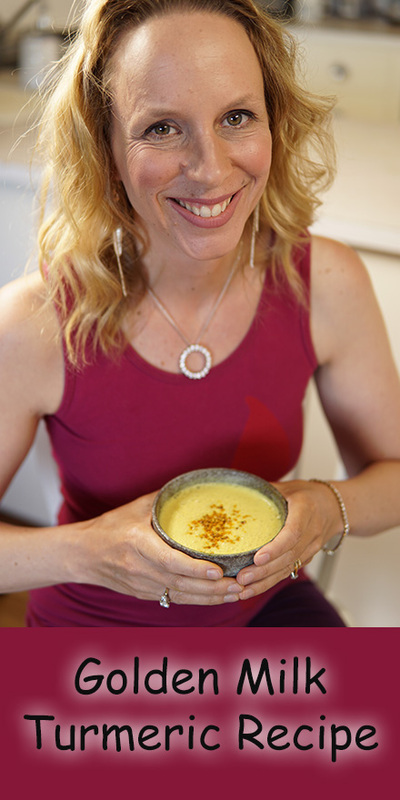 Today we are going to make a Golden Milk Turmeric Recipe (Vegan) for Sleep. 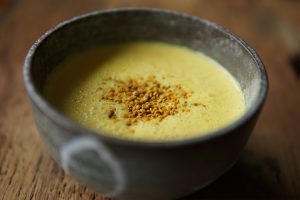 Golden Milk is a warm drink that you can drink before bed to help you sleep. At its base, turmeric reduces inflammation, lowers your blood sugar levels, helps your liver to detoxify, boosts your immune system and eases your digestive system – all of which help you to get to sleep faster, to sleep better, and to wake up feeling refreshed. Turmeric reduces inflammation and ease your digestive system, helping you get to sleep faster. Nutmeg is a popular spice with a long list of health benefits, including help with insomnia, thanks to its mild sedative properties. Is a Nervine Tonic herbs that have been used to help bring peace to the mind and calm to the nerves. Contains Red reishi mushroom which is calming, relieves stress and supports sleep. Helps to relieve stress – Because of bee pollen’s nutritional and tonic properties, it improves blood supply to nervous tissue, boosting mental capacity and strengthening the nervous system that may be weakened by stress. That makes it one of the most effective natural stress relievers. This will help you to relax enough to fall asleep and stay asleep. Bee pollen is also a local analgesic, in other words it relieves pain brought on by stress or injury so that you can sleep through the night uninterrupted by pain. Thanks so much for watching. Please give the video a thumbs up if you like this recipe and let me know what you like about it in the comments. Subscribe for more videos like this every Tuesday. Sign up here for 7 days to better sleep with yoga and I will send you 1 video a day for 7 days with the best of yoga, ayurveda, self massage and pranayama (or breath practices) to help you get the best night’s sleep.